We include our comprehensive appraisal for identification or insurance purposes. How much will my new diamond appraise for? 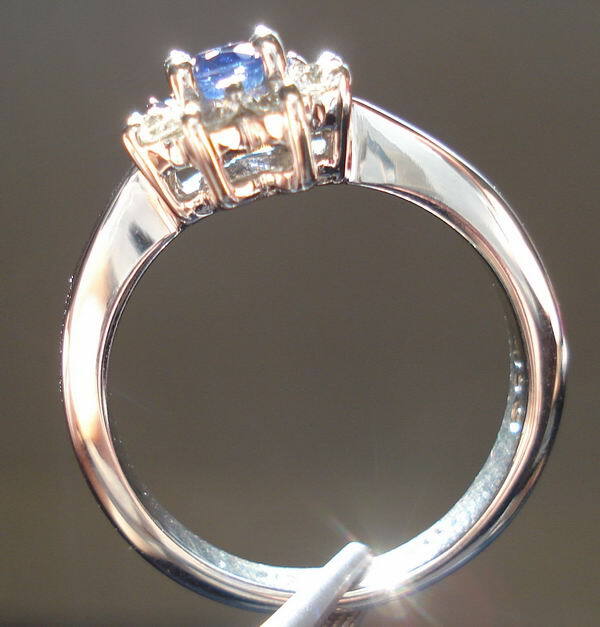 Here is a beautiful sapphire and diamond ring. 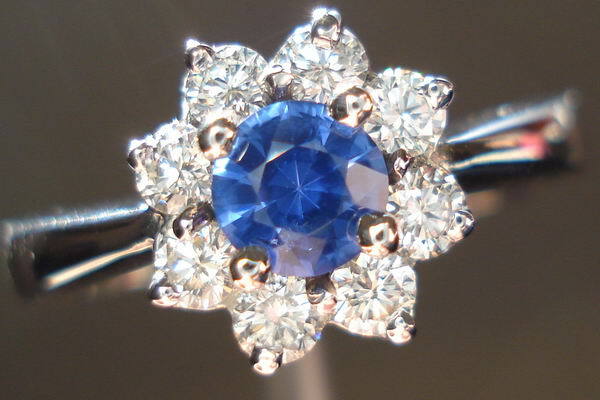 The sapphire is a beautiful vibrant cornflower blue. It is nestled in among 8 very well cut diamonds. 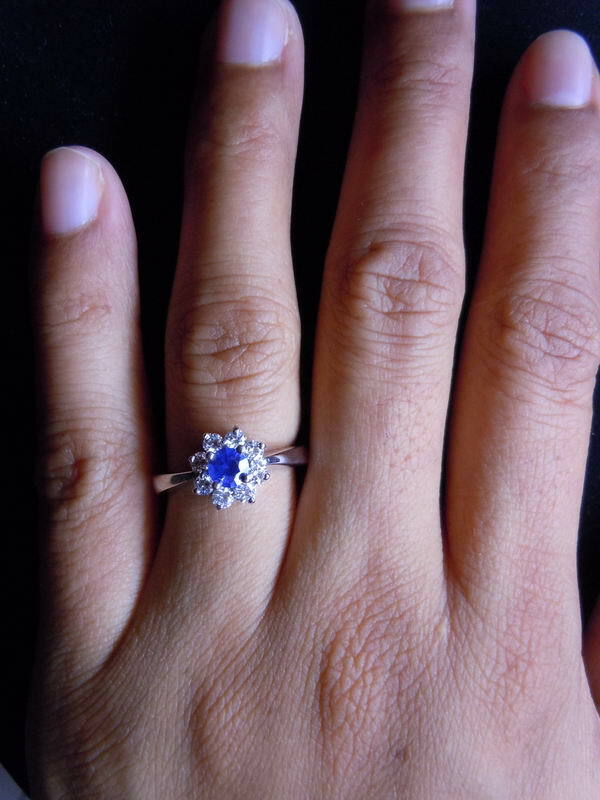 The contrast is lovely and I think it allows the sapphire to "pop" even more. The setting itself is wonderfully executed. It is nice and substantial from the side so you know it will last! From the top it is delicate and feminine in feel. 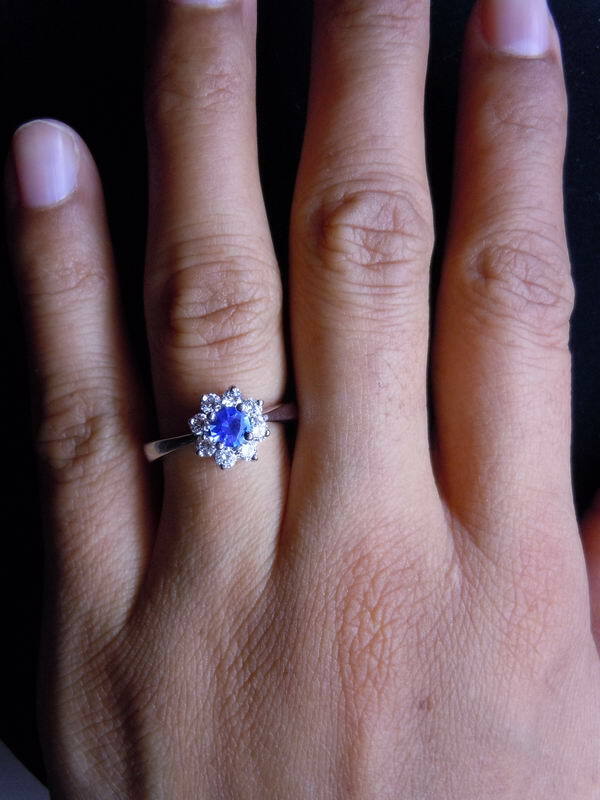 The ring looks beautiful on the hand. So whether you are looking for a special gift or maybe an engagement ring reminiscent of royalty, this ring will certainly please! all actual photos of the specific item we are offering. In the photo on the right, you can see what I'm talking about. The Sapphire on the left is quite a nice one. Believe it or not, in this particular case, the Sapphire on the left had a higher price than the stone on the right- which is the stone I chose. It's making it's new owner very happy as you read this. Sparkle is the type of Sapphires, Rubies, and Emeralds we carry. 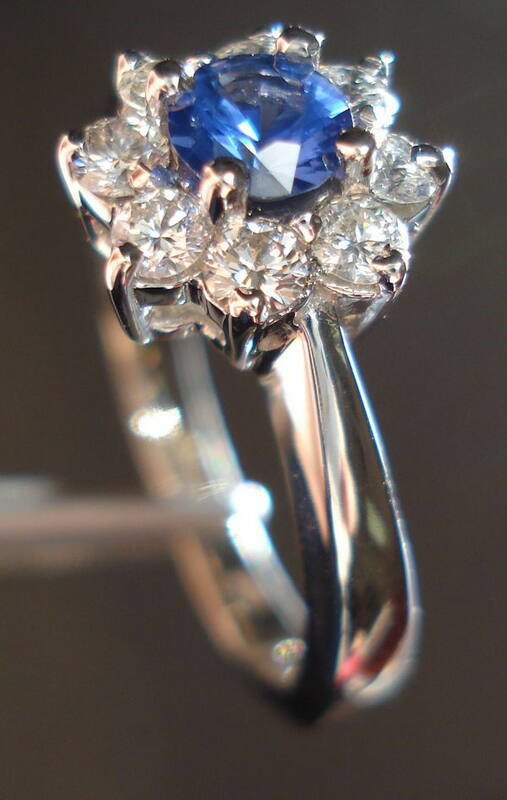 Our stones are all NATURAL - including this awesome Sapphire. 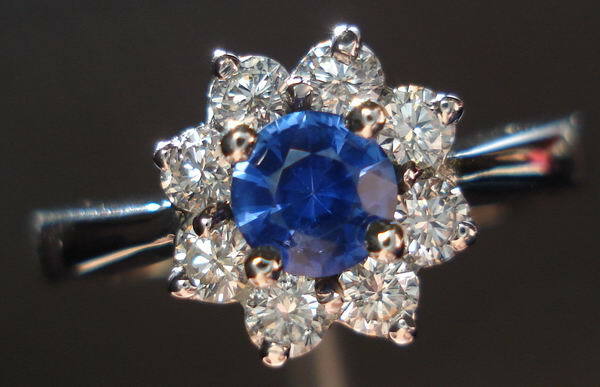 Many Natural Sapphires, including this one, are heated during the cutting and finishing process.